Our time together will include meditation, chanting, and a Dharma talk, activity, or practice. Anyone and everyone is welcome – newcomers and beginners are always welcome, just let us know if you are new and we’ll make introductions and offer instructions. 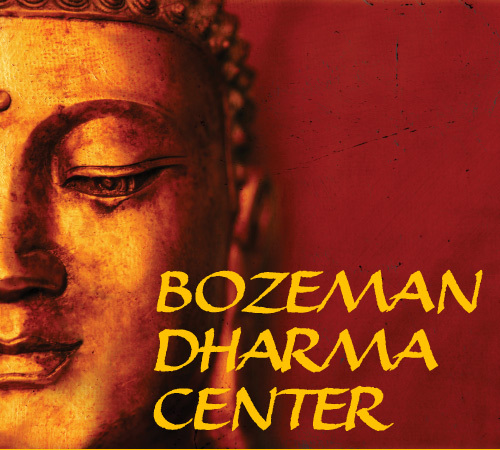 For more about the Bozeman Zen Group and our teacher, Karen DeCotis, please click here to go to our website. Please note: these Sunday mornings will not be held when the Dharma Center is hosting a weekend retreat. Please check this website’s calendar if you’d like to be sure of the meeting. Thank you. Our calendar program automatically offers links to other websites in the bottom corners of the page. Note: these events maybe very out of date. Please check the date carefully when using these arrows to access other events. Thank you.